Just for the record, the only thing that I like about yard work is the fact that, unlike 99% of the things I do around the house, someone can't come along moments later and undo the fruits of my labor (think dirty laundry, eaten meals, mucked up bathrooms...). When I set out to do the lawn (trimming, edging, mowing, tackling the hedges, sweeping--I'm nothing if not through) my intentions were (mostly) to quiet the nagging feeling that I'd soon be getting a nasty gram from my HOA, then to assure my husband some free time to finish his consulting job this weekend in between soccer matches, and finally because it was one of those perfect Florida days when it's a downright sin to stay inside, and after all, I didn't really have time to make it to the beach before I had to get the kids from school. I was doing well until I got to the Beast. The Beast is the hedge that our property "shares" with our next door neighbors. I say "shares" because it's mostly (all) ON their side. It's a HUGE box hedge and gets overgrown fairly quickly. Our neighbors are older (retired), and he's pretty frail and she's rather frugal, so they don't pay their lawn service the extra few hundred dollars it would take to maintain it. Historically, we've gone ahead and trimmed (hacked?) it down because it was the nice thing to do. This day was no exception. I had a decent attitude until about 15 minutes in to the 2 hour job. Then my inner three year old kicked in. I began to lecture the inner child, much like I would one of my own offspring. This is the right thing to do. It's honoring of our elders. It's loving our neighbor. It's serving the Lord. I pressed through the trimming and began the job of raking and gathering the huge piles of leaves. Then I heard their garage door open. It was Bob, my frail, early dementia, mid stage Parkinson's neighbor. He was standing and watching me with tears glinting in his eyes. "You", he stammered, "you're sick!" (He remembers when I moved here very clearly). "You shouldn't have to do this...you're doing my work!". "It's okay, Bob, I don't mind. Besides, I'm not sick anymore, see?" I pulled off my baseball cap and ruffled my hair to offer proof of my wellness. "I don't know why I don't do things like this anymore....Lazy, I guess." Needless to say, I was humbled to the core. "Bob, you're not lazy. I see you out and about all the time...where are you going now?" His eyes lit up. "For subs....I'm going to buy you lunch!". As I was finishing up, he returned. "Is it right? I probably screwed it up. I screw up things all the time." And it was--not for my lunch, as I'm not a fan of mayo, olives, or white bread (but my boys loved it as an afternoon snack)--but as gentle reminder that even when I don't feel "properly appreciated", that God won't be outloved or outgiven. --It was not me who also didn't write because I was internally pouting about missing my best friend's 40th birthday. It was also not me who immaturely got bent out of shape because I wasn't informed about her surprise party. It's not like I live a few thousand miles away and could just pop out there for it. To be sad and feel a little disenfranchised would be petty and immature, and that's so not me. --It wasn't me who was more upset to see myself (in an email to a local TV station) being described by my publicist as "40ish" (I'll be 37 next week, thank you very much, and you see what having four kids and six round of chemo does to your aging process...) than I was that he described my book as "just okay" (Whatever. I had no editorial control over my book and know I could have rewritten extensively. It wasn't my editors vision and I let go of that when I signed the rights to the blog over to them). It also wasn't me who, much to my four year old's chagrin and my husband's delight, impulsively had my hairdresser return my hair to it's mid-twenties, pre-children and cancer shade of screaming Irish red. --It wasn't me who wasn't too disappointed that both of her children's teams took fourth place in the Region Cup Final Four. I would never step back and see the character lessons more effectively taught by the occasional loss (nor would I be working on blog posts about them!). I also wouldn't secretly be relieved that this means one less weekend of travel this month. I also wouldn't secretly feel like my son's team didn't place third instead of fourth because his coach pulled him out after a perfectly executed and unscored on half to replace him with the other keeper. That would be truly biased of me. --It wasn't me who felt crazy loved this weekend between the TWO sets of friends who drove out of their way to come watch the kids play (Thanks to Meridith and Miss K, and to Rich and Ruth--we love you!) , my mom and sisters who entertained the littles so that my dh and I could actually watch the games, and our dear family friend Dawna who put us up in her personal "Motel 6" (her terms--I'd call it the Hilton!) and spoiled us rotten with her hospitality. It also wasn't me who was totally charmed by almost 2 year old Miss K and ready to pack her up and take her home. --I would never be so confrontational, so it certainly wasn't me who pulled aside the fellow club (not team!) mother of one of my daughter's acquaintances who shot her child's ref a double one fingered salute during a bad call and explained in detail all of the consequences of referee abuse and what the ramifications would be for her daughter's team (and the reputation of our club) had she been seen by the official. It also wasn't me who was astounded (and pleased) when she thanked me for telling her, then went to her coach and explained what she had done, what I had said, and apologized to him. I would never have so little faith in another human's teachableness (or lack thereof). --In that vein, it certainly wasn't me who rolled my eyes when my husband pointed out the opportunity to take our TQ (for free) to multiple women's collegiate matches next month (including her beloved Gators) because he had the audacity to talk soccer after two hot, sticky, and emotionally exhausting days. I'm always up for more, more, more, you know. Why, yes I could. Glad you inquired! Dinner: Green Eggs and Ham (well, Canadian bacon and mushrooms), cheese toast fingers, and sliced tomatoes...and blue milk (by Eeyore Jr). Inspirations:Green Eggs and Ham (duh! ), the darling hat that Princess made in school today, Carla from Top Chef (the Breakfast challenge), and a really cool mom at my church, Connie Fitzmartin! 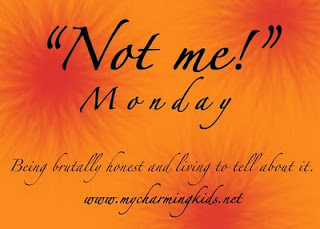 You can check out her new website at http://www.themagicalmom.com/index.html. This is the TQ's new soccer team (plus some friends and siblings who play for the same club). Yes, it's technically a boys team (but our goalie and sweeper are girls). Yes, it's mostly made up of working-class Hispanic kids who come from primarily Spanish-speaking homes. We do have one Filipino (first generation American) and our two "token" Caucasian Blondes. A LOT of assumptions were made about our team when we entered the Region Cup this year. We had never played an "A" level game. We belong to a small, mostly recreational club. Our coaches aren't paid. We don't travel much because money is so tight for most of the families. They call themselves "United"--and they mean it. TQ has never had the blessing of playing with a team like this. No prima donnas, no stars, no white, brown, male or female. Just kids who love soccer--and take care of each other. (I got a little choked up when, during warm up, another player knelt down to adjust the laces on TQ's shoes for her--something nearly impossible to do in keeper gloves, and later when she was lent layers to keep warm in the biting winds of the last game of the weekend). Their coach never yells. Never. The parents are kind and positive. They swept the semifinals this weekend, beating clubs that have serious money and sponsorship behind them. I can't repeat some of the comments made by parents from those clubs as this is a family blog, but trust me, they were NOT kind. We couldn't be more proud to cheer them on in the Final Four. Did we mention that Eeyore's team made finals, too? His dad, however, forgot the camera :-).